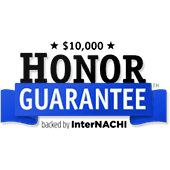 First Time Home Buyer Inspection: Parma, North Royalton & Cleveland, OH | Inspection Pros Inc.
We take the guesswork out of your role as a new home buyer. We understand that buying your first home is exciting. It can also be the source of many questions, even after you’ve decided on the home of your dreams. That’s why we provide a First-Time Home Buyer’s Inspection. It’s the same as a full Whole House Home Inspection but includes a special consultation to review your responsibilities as a new homeowner by going over the "Now That You've Had a Home Inspection" book with you, including all the important maintenance items. We’ll help take the guesswork out of your role as a new homeowner! As a new homeowner, it's important to understand that your house requires care and maintenance. With time, parts of your house will wear out, break down, deteriorate, or simply stop working. InterNACHI’s home maintenance book teaches you how your house works, how to keep it maintained, and how to save energy. 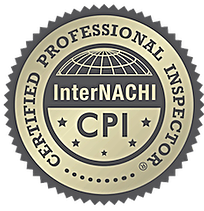 InterNACHI’s "Now That You've Had a Home Inspection" book is provided exclusively by InterNACHI Certified Home Inspectors. 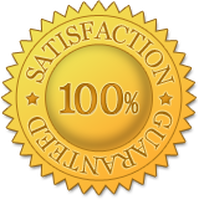 Our Inspection Pros home inspectors will make the inspection process go smoothly with your new home purchase. Our inspectors are available throughout the Greater Cleveland Area including North Royalton, Strongsville, Parma, Broadview Heights, Brecksville, Hinckley & Independence. "Now That You've Had a Home Inspection", maintenance book.